YWAM Publishing has two phenomenal series of biographies: Heroes of History and Christian Heroes: Then & Now. For this review, Arlene selected Heroes of History - Abraham Lincoln. 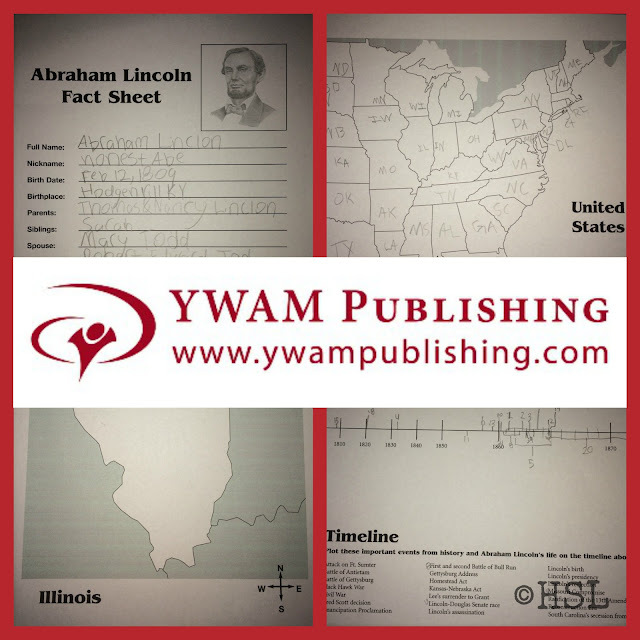 While Arlene has been studying the adult life of Abraham Lincoln for several years, I knew that a biography from YWAM Publishing would give her more insight into his early years. One thing that I have always enjoyed when we have read these biographies from YWAM is the accompanying downloadable study guides. While Arlene at 17 is getting a bit old for some of the activities in the study guide, it always helps her think more about what she has read if I have her look through the study guide and do some of the pages. Often she has done the map work, timeline, and fact sheet, that are included in the study guides, but this time we took the learning a bit further. There are reading comprehension questions that help the student think through each section of the book as they read it. While these are ideal for students to use to really make the biography into a full unit study, I wanted Arlene to use those comprehension questions to think about the causes and events that happened in Lincoln's life, and how they molded him into the man he was as our President. I asked her to write me a five point report about the key influences and forces in Lincoln's life, based upon what she had read in the YWAM book, not based upon her prior knowledge. 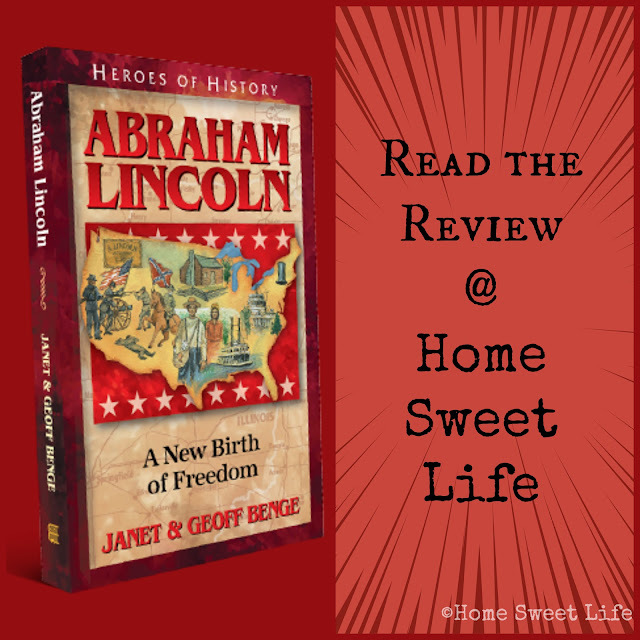 Keep on reading after her report, because I want to share WHY Arlene chose Abraham Lincoln over the other choices in the Heroes of History series. New Beginnings - Abe went through a lot of new beginnings over his life and they started when he was young and his family moved from Kentucky to Indiana, and then when his father got remarried. But it didn't stop there. Abe’s family moved again the next time to Illinois where Abe had many new things happen to him, like becoming a lawyer, getting married to Mary Todd, and being a member of the United States house of representatives for a term. But those were somewhat small compared with the new beginning he had late in his life when he moved to Washington D.C. to become the 16th President of the United States. There were many new beginnings in Abe’s life and each one brought with it adventure. Adventure - Abe went on many adventures in his life from exciting ones like taking river boats down the Mississippi to New Orleans, to the adventures of starting his own store with someone he knew, to ones that don’t seem so grand but are just as important in his life: becoming a lawyer, a congress man and a husband and father. Some of these were easier then others and there were many hard times in the Lincoln family. Hard Times - Life wasn't always easy for Abe, in fact it was usually quite hard, but he always persevered. Troubles didn’t wait for Abe to grow up. When he was young his family decided to move from Kentucky because of complicated and unfair land laws and not long after they had settled in Indiana his mother died, along with other family members that had moved with them. Hard times didn’t stop either as Abe got older. Sometimes life didn’t seem to get much better. He became President in a time just before the American Civil war fully broke out and over that time two of his children who were a big part of his life died. Because of their deaths his wife Mary was never quite the same but he always persevered. Perseverance - Like I talked about above, Abe went through many hard times in his life but he always persevered and never gave up. He always persevered in life and always encouraged others to do so as well. Like he said in his famous Gettysburg Address when he called the people of the United States to persevere so that these dead shall not have died in vain -- that this nation, under God, shall have a new birth of freedom -- and that government of the people, by the people, for the people, shall not perish from the earth. He always persevered throughout the hard times and he never gave up even when bad things happened to him, his family, and his country. Family - As talked about above, Abe’s family changed a lot over the years. His mother died when he was young, but his step-mother was a kind and caring woman and his step siblings were kind. His family was important as he got older too, his wife Mary Todd and his sons brought much joy to his life. Abe and Mary were both devastated when two of them died during that war. Well thats that. I hope I summed up what I learned about President Lincoln well and that you learned something new about him. We enjoy the biographies from YWAM for several reasons, but here are a couple key ones. They are written from a Christian perspective, meaning that you can read them aloud to the whole family, or hand them to your child and have them read them independently without worrying what might be inside the story. 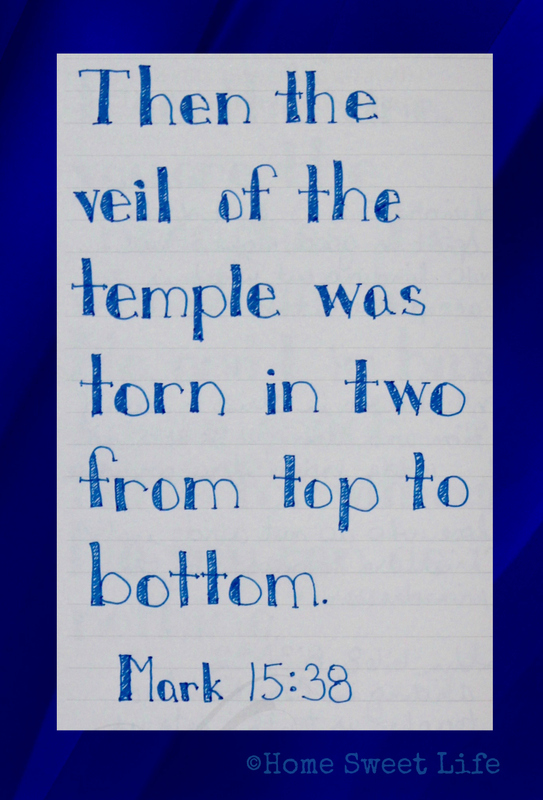 If the person covered had an unsavory past before coming to Christ, it is handled with tact, and only as a broad overview. 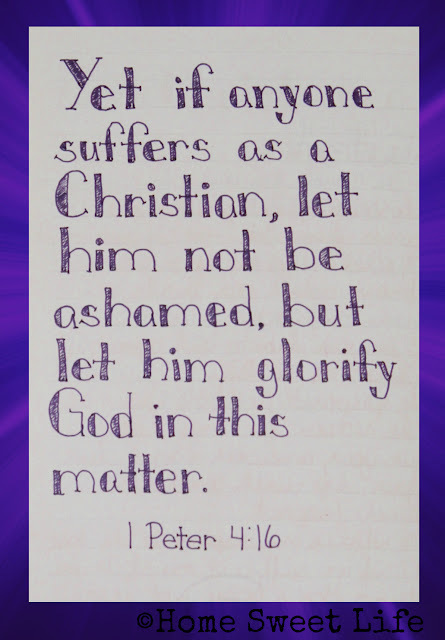 If the person had struggles with depression, family issues, or doubts about God, these are also handled with tact, and the redemption of their life, character, and family is the focus... not the wrongs or the struggles of the past. I enjoy reading the YWAM biographies myself because they give a solid overview of the person's life without making the commitment of a 300+ page book, like most biographies geared towards adults. Most of the YWAM biographies run around 200 pages of easy to read type on pages that are about 5x8". These biographies run $9.99 each, but if you order directly from YWAM they are $7.50 each. I know that the YWAM booth is probably one of the most visited booths at our state homeschool convention every spring! At the beginning of the day on Friday they have massive mountains of books, and by Saturday afternoon, there are just a few lone books left, and parents are placing orders to have the other titles shipped to their homes. There are sets within each of the series of five books available with a small discount, or you can buy either of the complete series at a huge discount. If Arlene were younger, we would have purchased one of those complete sets and just let her read her way through biographies for history! Now, a little more about WHY Arlene chose Abraham Lincoln. 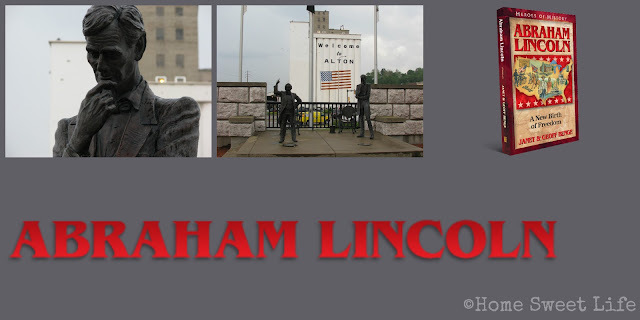 Abraham Lincoln spent his adult life in Illinois, a free state. While Illinois claimed to be a free state, meaning slavery was illegal there, the tensions ran high during his entire life about the issue of slavery. In 1858, while in an unsuccessful bid to be elected a Senator from Illinois, Lincoln challenged the incumbent, Stephen A. Douglas during a series of debates. One of those debates took place in Alton, Illinois. Alton, IL is located on the north side of the Mississippi river, just above St. Louis, MO. This is one of the bends in the mighty Mississippi river where it travels more west-east than north-south. St. Louis was a prominent southern city with slavery, and the dividing line between the north and south around this part of the river was often blurry in the minds of the citizens. Friends of Lincoln's, Elijah P. Lovejoy and his brother Owen Lovejoy lived in Alton, IL in 1837. Lincoln lived in Springfield, IL. Several of the citizens of Alton were upset because Elijah was using his printing press to publish anti-slavery materials. His brother Owen was preaching against slavery. On November 7th, 1837, a mob of pro-slavery supporters attacked the warehouse where Elijah had hidden his fourth printing press (the other three having already been destroyed by angry mobs.) During the horrific night that followed, Elijah was shot multiple times by the angry mob, the press destroyed, and the warehouse burnt. Part of this story is told in the Abraham Lincoln biography from YWAM...as I mentioned before, they handle violence with tact... the rest of it we have learned over the years because Kurt's family name used to be Lovejoy. There is a family connection between Arlene's great-great-great-great grandfather Lovejoy and Elijah and Owen. Four years ago we were returning from a family trip to Oklahoma and spent the night in Alton, IL. 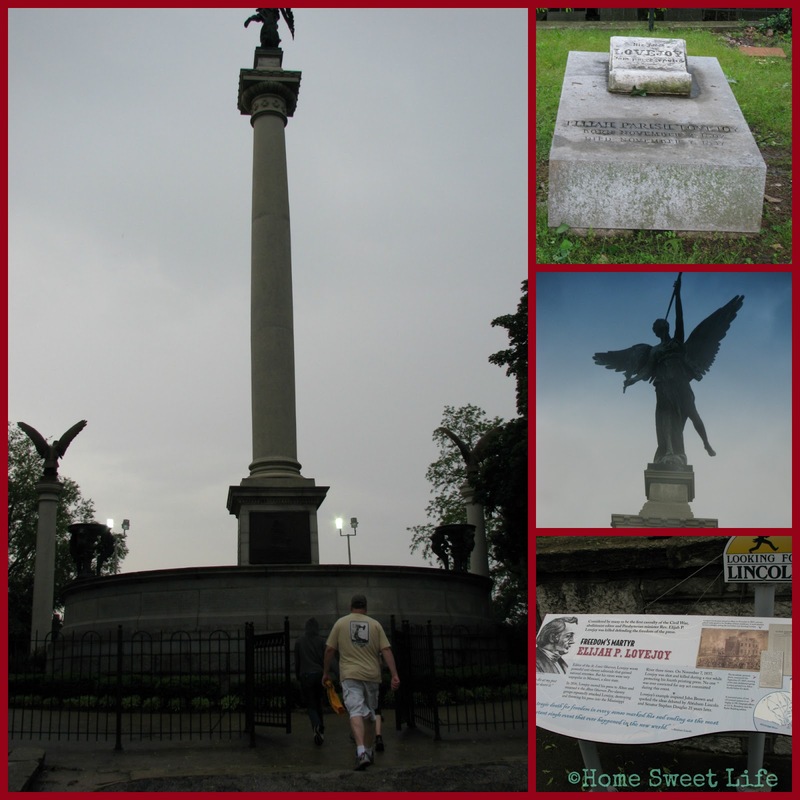 The following morning we took the girls to the site of the Lincoln-Douglas debate, and to the cemetery on the hill where Elijah P. Lovejoy was buried, and later, the residents of Alton, IL erected a monument to his memory and work for the abolitionist cause. The fight over his printing press is sometimes referred to as the first battle of the Civil War. There were a lot of years of struggles that led to 1861. YWAM biographies from the Heroes of History series bring history to life. They help the reader become a part of the story by covering some of the childhood of the person, so children can come to understand that they too can grow up to do mighty things, whether small or large, for God. We highly recommend them to all that ask. You can read our previous reviews of Ronald Reagan, another Hero of History, and C.S. Lewis, from the Christian Heroes: Then & Now series. Click on the banner below to read the reviews of other Crew families of various titles in both series from YWAM Publishing. The letters R and S are for rest and sleep. 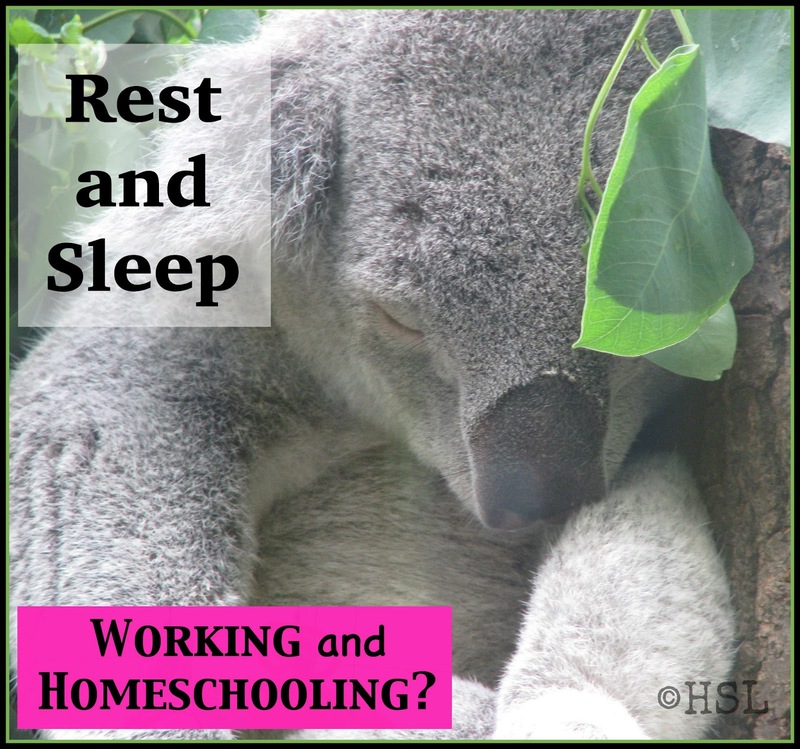 Those are two entirely different things, but when you're a working and homeschooling Mama, you often feel like you're lacking in both! Sleep is the obvious one. We need sleep. Sleep is when our bodies repair themselves, when our digestion finishes, and when our mind goes into REM sleep and we have weird dreams. If you're not dreaming, then you're probably not sleeping well! If you cannot remember the last time you had a vivid dream, then I would suggest you talk to your healthcare practitioner and ask them if you might be diffident in magnesium. I speak from experience. 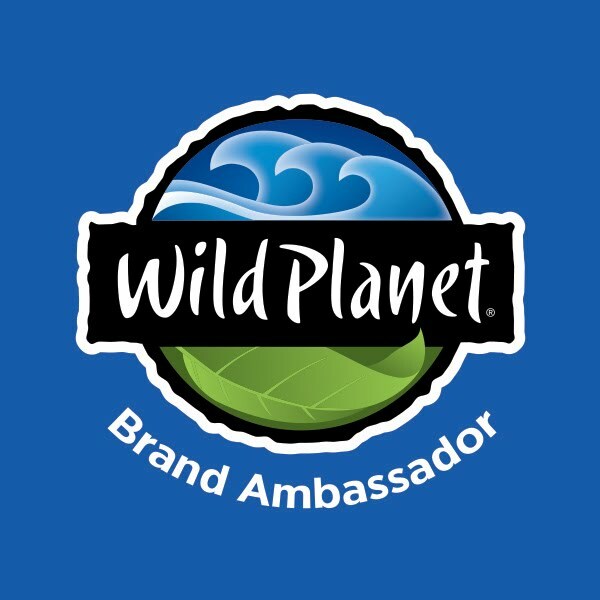 Once I started taking magnesium and overcame my deficiency, I started having wild dreams, and then vidid dreams, and now I just dream a lot. I do not always remember them, but I can remember that I had a dream, and I awake feeling much more refreshed. The other word is harder for us Mamas to comprehend. When I started on this trip through the alphabet with you, I told you I was going to talk about the blessings to be found for a working and homeschooling Mama. Rest is so vital, but so overlooked in our society. When your brain hurts, when it seems like you are always in a fog, when you're spinning too many plates and none of them well - you need rest! When you cannot find time to read your Bible, when you get cranky with your children, or your spouse, for the little things they do that are just a part of their personalities - you need rest! When you cannot remember what it is like to relax and breathe deeply - you need rest! Here is the kicker - you have to choose to rest! Rest does not come naturally to Mothers. We see things that should be done: the laundry, the weeding, the math book, and we have this inner drive to accomplish all of it - today! I'm going to let you in on a little secret: YOU CANNOT DO IT ALL, SO STOP TRYING! Maybe I was yelling that secret, maybe just raising my voice a bit, but it is still truth: you cannot do it all. What is this ALL you are trying to do anyway? Are you trying to live a Pinterest perfect life? No one really does and still loves like Christ loves. 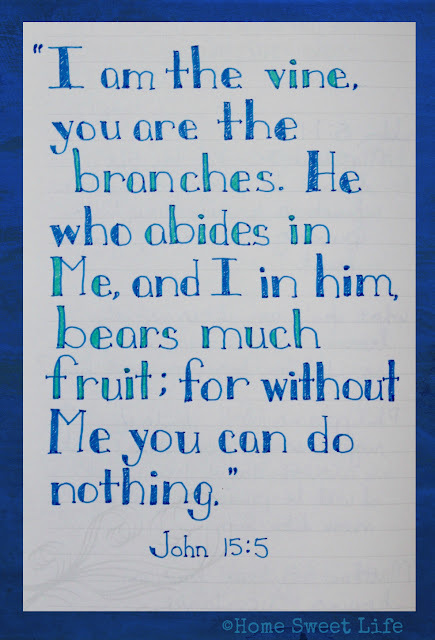 Are you trying to do ALL that you see your neighbor doing? Stop, just stop, because they are not living YOUR life - you are! Are you trying to do ALL that your In-Laws suggest, ALL that your child's scout leader recommended, ALL that you see in a scope and sequence chart? The only ALL you need to be doing is surrendering it ALL to Christ! To be able to choose to rest, you, as a Mom, wife, person, have to choose to put your day, your year, and your life in the very capable hands of our Heavenly Father. You have to choose to rest in His presence. You must choose that time with God is more important than any other thing: even over a clean kitchen or eating your lunch! When you choose to surrender to God's plans, you choose to rest, When you choose to trust His hand is guiding you, you choose to spend time in His Word, in prayer, and in fellowship with other believers. See the koala in the tree above? He is resting. Are you resting? He might also be asleep, but he is resting, trusting the tree to hold him, and the zookeeper to bring him food. 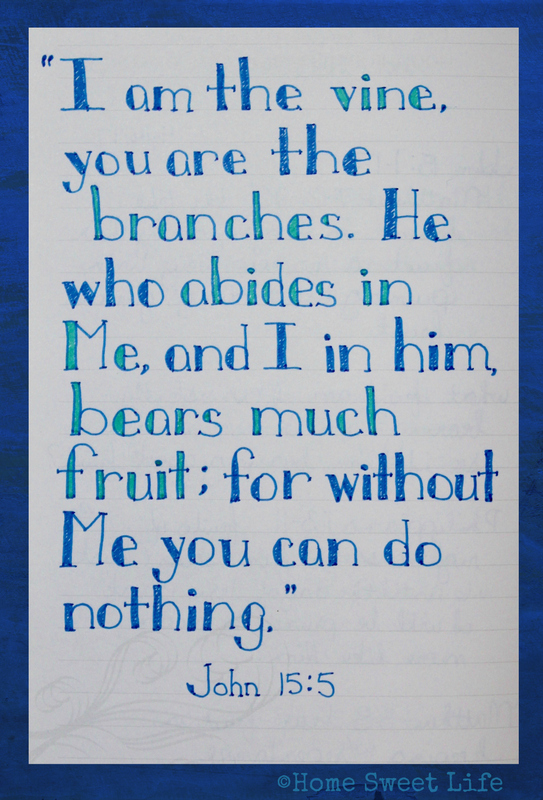 Are you trusting God to hold you, are you trusting that He will provide your daily bread? You should be. Today there are 100 things I could be doing. But what should I be doing? 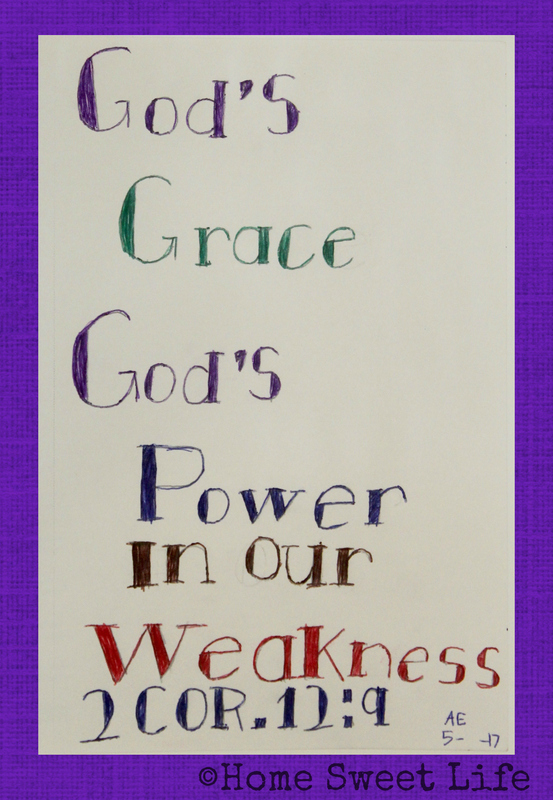 I cannot know that unless I rest in God and ask Him for guidance, for His wisdom, which He gives generously. Today, I challenge you to choose to rest. Choose time with God over everything else. Find a peace and rest that can only come from Him. He will direct your paths, and He will teach you how to rest, how to love like Christ, and how to live a life that is eternal. Hey, just a quick reminder of you all. There are two things happening that end soon! I do not want you to forget about them and be sad next week. For all the details, see our post from earlier this month! 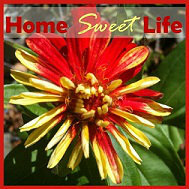 We enjoy having the online resources of SchoolhouseTeachers.com available year-round. Secondly, we are hosting a giveaway for a pencil sharpener from Classroom Friendly Supplies! The giveaway goes through Midnight this Friday, June 2nd. You can read the details and find the entry form at this post from May 19th. Have you thought recent about what we are celebrating? We are, as a nation, remembering those brave men and women who have given their lives while defending our country during times of war. While the world around us is focused upon picnics and fun, let us take just a few minutes to remember those fallen soldiers who gave the ultimate sacrifice for our freedoms. Memorial Day began as a day of remembrance for the soldiers who died during the Civil War. 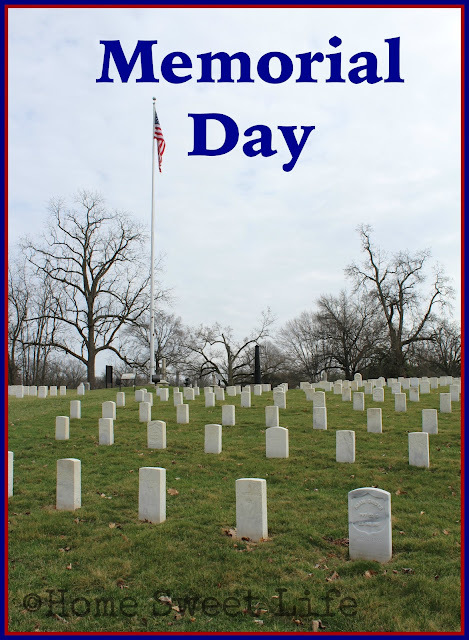 It has since expanded to remembering the deeds of those who have served in all of our country's wars for freedom. Today, before the barbecue, before you get in the boat at the lake, or before you take your lunch break at work, let us spend just a few minutes thanking God for those soldiers and their sacrifice. Remember them, and then ask God to help us choose to lives lives that serve others as well. If you have never taught your children why we celebrate, then do that today. 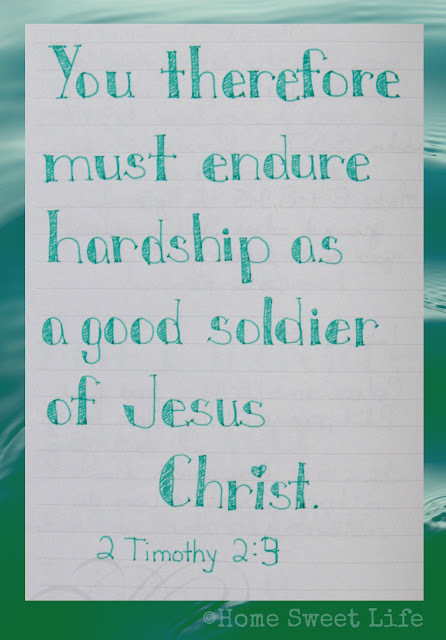 May we, like Christ, be willing to lay down our lives for our friends. May you have a blessed Memorial Day! “Come for a visit.” Have you ever heard those words? Do they sound too old fashioned? Did you accept the offer? Too often we hear invitations to visit, to take time for fellowship, and we decide that we are too busy to accept them. How has that happened? If we, with the modern conveniences of indoor plumbing, not to mention electric washers and dryers for our laundry, cannot find the time to accept an invitation to visit for an hour or two, what have we done?! Life is too short, and fellowship with other believers too precious, to miss out on a visit, a time of refreshing. Those other things can wait. Frankly, if they can’t wait then they probably were not that important at all. 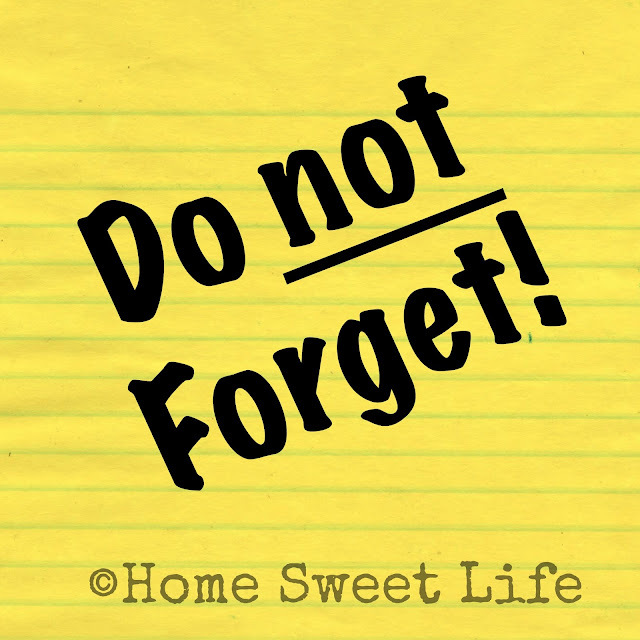 The Bible warns us to not forget the assembling of the saints. (Hebrews 10:25.) 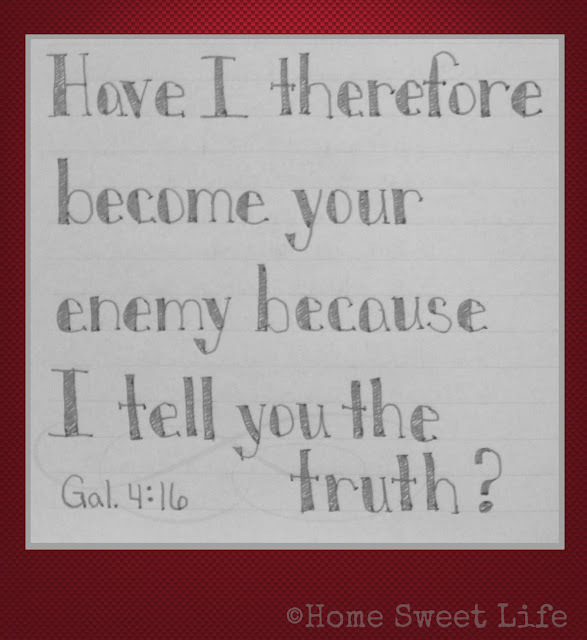 While the directive there is for weekly worship and study of God’s Word, it can also be applied to our daily lives. We need to be a part of a community, even a small one, to thrive in this life. Perhaps your friend or relative invited you for a visit to refresh you, or maybe, because they needed to be refreshed. You won’t know God’s purpose for the visit until you go. 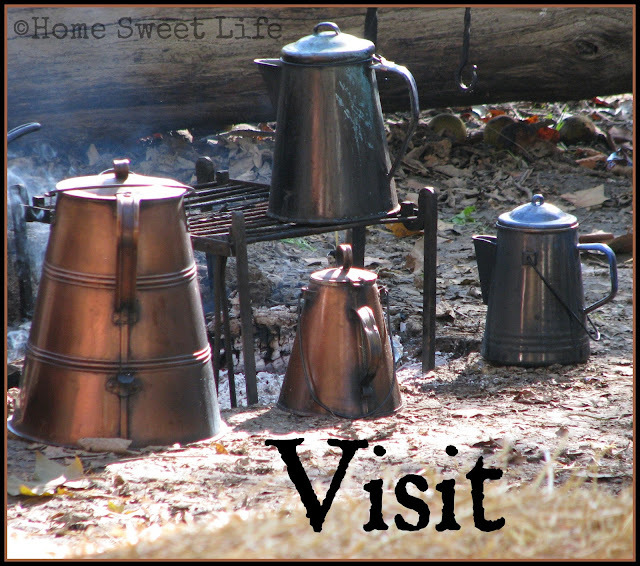 Go for a visit. If you haven’t been invited for one this week, then find someone to invite to visit you. Take time for fellowship, community, and a visit. How good are your typing skills? I’m not asking how good you want them to be, or even how good you pretend that they are, but how good they really are. 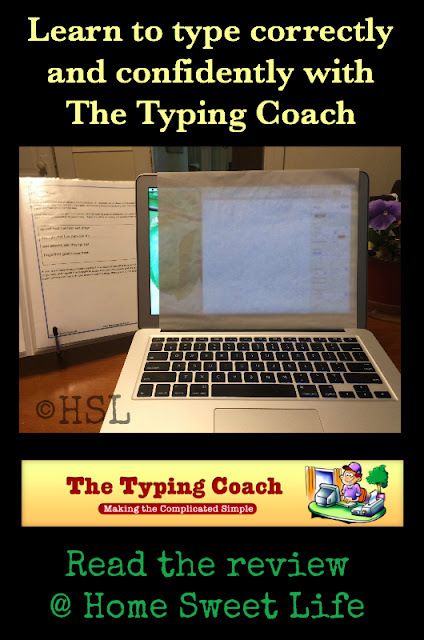 When the opportunity to review The Typing Coach Online Typing Course from The Typing Coach appeared, I knew it was time to give it a try and work on my own typing skills. The Typing Coach is designed as an audio course with some visual elements to guide the students. After all, I wanted to learn how to type something that wasn’t already on the computer, so I knew I needed a serious program, not just a fun game to entertain myself. In a little over a year our youngest daughter will graduate from High School. I don’t know what God has planned for me after that, but I figure knowing how to type correctly might come in handy! The actual lessons from The Typing Coach are taught by listening to the audios and following the instructions. The lessons include a lot of repetition to help you memorize the keys, and then they suggest at least another 20 minutes a day of practice. To help the student (of whatever age) succeed, there are a few things the parent or classroom teacher needs to do before the student begins. Even though this program was originally geared for school aged students, I knew that I needed to be the student this time. So I read all the introductory things, and watched all the videos myself. If I were using this with one of our girls, I would have had them watch the introductory video alongside me. Then, there is a student packet and a learning checks packet to download and print. I found a folder to put the pages into so I could use my cookbook holder to keep it at a comfortable angle to read from while I practiced typing. The Typing Coach, also known as David Kimball, is really encouraging, but with the caveat that the student needs to practice exactly as they are taught. Cheating by looking at the keyboard will not help you learn to be a better typist, it is just lying to yourself. Better that the student work towards doing their typing practice correctly, but slowly, than to go fast and continue to make errors. The Typing Coach does not allow the student to use the backspace/ delete key because he wants them to stay focused on the task at hand, and learn to type error free. A good typist is more concerned with accuracy than speed. The goal upon completion of the course is to be able to type 10 words per minute (WPM) with zero errors. After completing the course the students skills should continue to improve and their speed should increase as they continue to practice. I have wanted to learn touch typing for a couple of years now. I realized that it would help me more easily get my thoughts down in the computer, and then, up on the blog, if I could type directly to the computer without needing to look at the keys. Let me tell you right now that it is possible to learn to type when you’re older, but it takes a lot of patience with yourself… and maybe your spouse. Kurt made fun of me when he saw me sitting at the table with my great posture, practice pages, and paper to cover the screen. 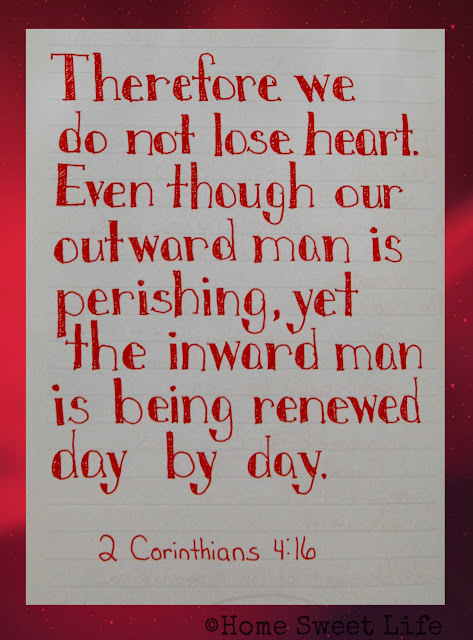 But don’t you worry, I will continue on through all ten lessons, even if he laughs again! 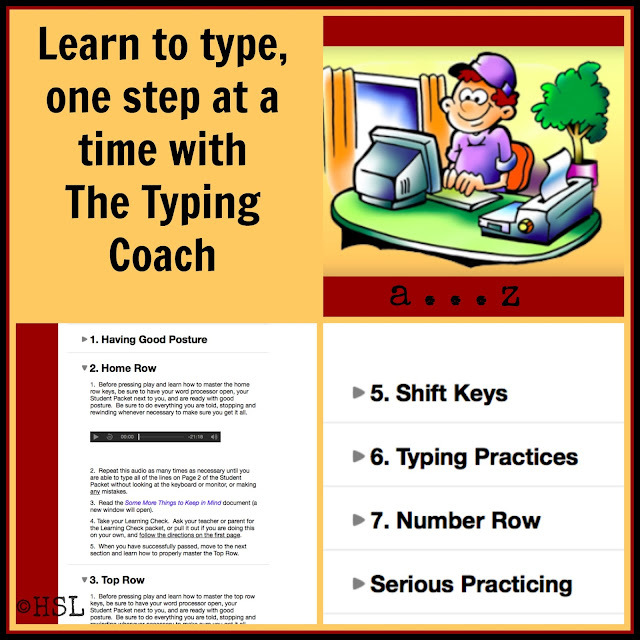 As I mentioned before, there are ten lessons in the online course from The Typing Coach. It is designed to be completed over ten weeks, or less if you memorize the keys easily and pass the learning checks without errors. Here is the reality for me: lesson one was posture, and it was easy thanks to having a good Chiropractor. Lesson two was the home row keys and it took me a little over two weeks to master. I not only had to learn which key to type with which finger, I had to learn how to properly hold my hands over the keys while still being relaxed enough to type. That was really difficult for me. If you look at the picture below you can see just how arched my middle finger needs to be while the others are on the keys. That’s because my middle fingers are about half an inch longer than my index and ring fingers, and an entire inch longer than my pinky finger. So if you have stubby hands, this skill will probably be easier for you to master. Lesson three was the top row, and I’m ready to try my learning check to see if I mastered it. Because it is combining the letters from two rows, I really, really have to slow down and concentrate. It used to be easier to memorize, but now in my 40’s, it takes longer. Now, IF I could have devoted twenty minutes every day to practicing, instead of just three or four times a week, I am sure I would be further along. But’s let’s just be honest here: I’m a working mom who home schools a high schooler and is a 4-H leader. Three nights a week of practice is more time to myself than I usually get without interruption! Anyone else in this boat with me? Than let me assure you that you too can learn how to type with The Typing Coach, just know it will take you longer if you cannot devote time to practicing five or more days a week. Overall, I like The Typing Coach program, and I plan to keep working away at it all summer until I master all of the keys and can pass the Final Assessment with no errors. I really think this would be a solid program for school age students to use, with some oversight from their teacher and/ or parent. If you are doing this at home, please make sure you place your student somewhere where they can clearly hear the audios without being distracted. Getting them a set of headphones might be the easiest way to accomplish this in a large family. The motto of The Typing Coach is “making the complicated simple” and this program does that. It does not make it easy, but it breaks down the complex skills of typing into simple steps that the student can continue to practice until they master them. To read about the other Crew families’ experiences with The Typing Coach, click on the banner below. 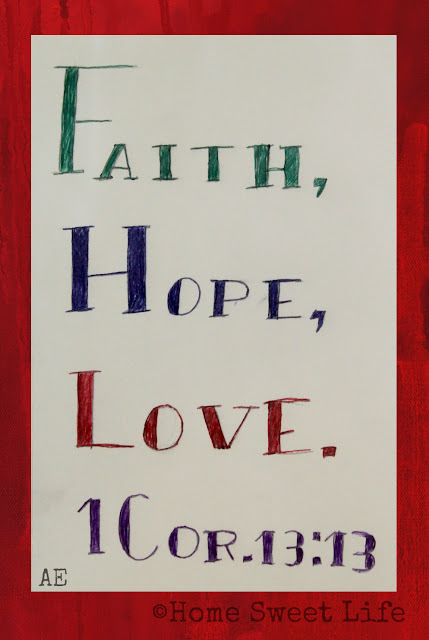 Have you been avoiding doing art with your children because of the mess it usually creates? Are you ready to have some mess free art fun? Then you really need to check out the Thin Stix 6pk of Classic Colors from The Pencil Grip, Inc.! Arlene and I received a set of these awesome tempera paints to review as a part of the Homeschool Review Crew. While these are geared for kids ages 4 and up, they are truly fun for all ages! Back when I was first introduced to tempera paint in elementary school, it was a treat. We only got to paint in art class, only once every two weeks, and the whole class had to march down the hall to the art room because it was way too messy for our teachers to consider doing in our regular rooms. We wore old shirts backwards over our clothes to protect them, and we had to wait for the art teacher to mix up the paints for us if we ran out because it came in powdered form. Fast forward 35 years to today and the art world has changed. Just a few short years ago The Pencil Grip, Inc. first introduced their Kwik Stix. These stubby little tubes of pre-mixed tempera paints introduced a new generation to the fun of using paint... without all the mess! They resemble glue sticks, and are just as easy to use. 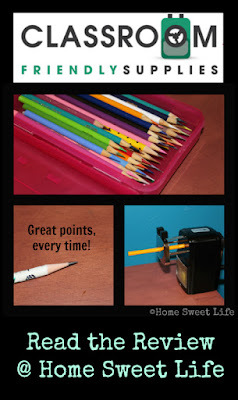 Then, after people fell in love with the ease of mess free tempera paint, The Pencil Grip realized a longer, thinner stix could open the door for older students who wanted more control, but still without the mess. 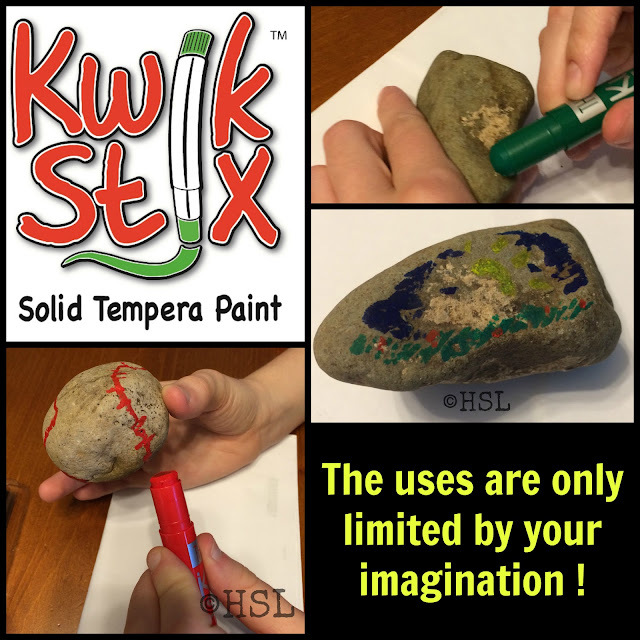 Arlene and I decided we wanted to try these new Thin Stix out on a variety of surfaces and see how they handled. The results amazed us. 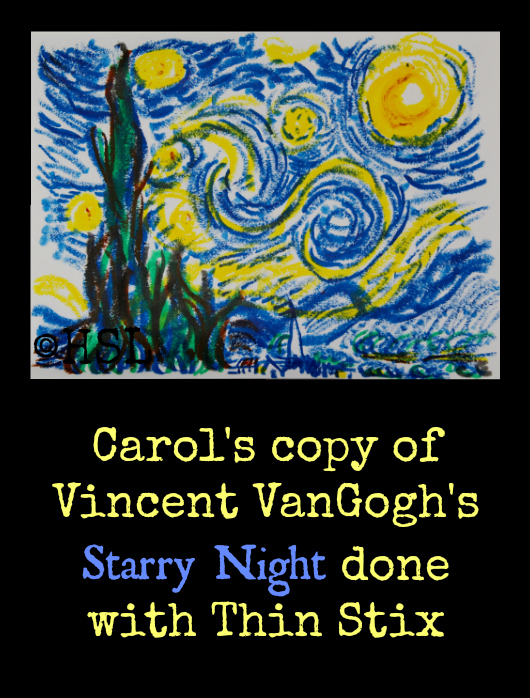 They offer a simple solution for young children whose parents want to offer art, but cannot stomach the thought of paint all over the floor, and yet, they have the ability to be used by high schoolers while studying impressionists like VanGogh. 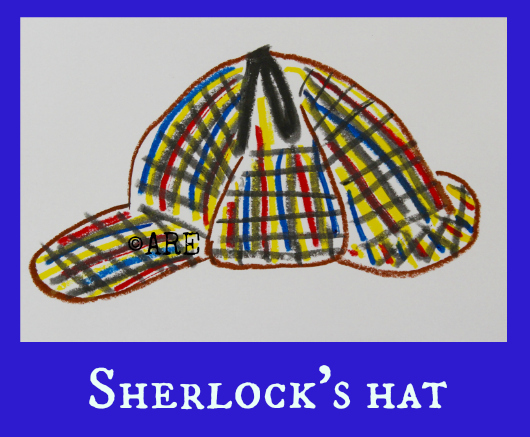 The above picture of Sherlock's hat was Arlene's attempt to use them like a small child would, just for fun, and quickly. The tempera paint in the Kwik Stix dries in about 90 seconds, so there really is very little wait time until the child can take their picture elsewhere safely. Arlene will turn 17 on Wednesday, so I challenged her to try something more difficult. 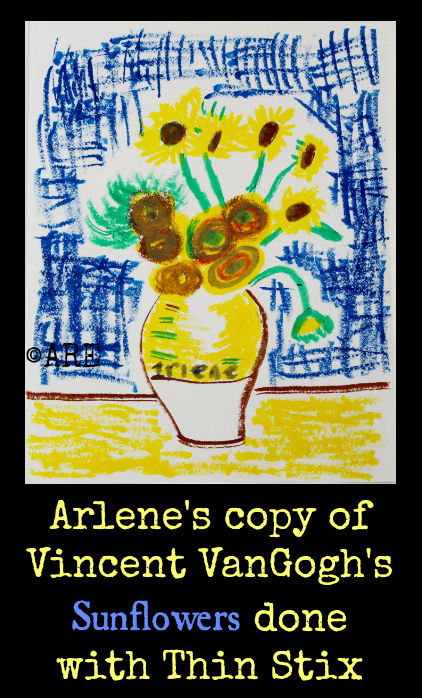 Since we both enjoy many of Vincent VanGogh's works, she use the Thin Stix to copy his famous Sunflowers painting. I think she did a fabulous job. After working on her sunflowers for a few minutes, Arlene asked for a color I was using and looked over at my picture. I heard her say, "Mom, how are you making Starry Night with art supplies designed for Kindergarteners?" I replied, "It's actually pretty easy. These things are amazing!" And no, it does not look just like VanGogh's original work, but we only had the 6pk of colors, and I was doing my impression of an impressionist. It was fun! We had been having fun with using these on just regular white printer paper. They worked really well, but we realized as they started to dry that the edges curled up a little bit. So note to self: once the 90 seconds is over, gently put the paper between two plain sheets of paper between two books for the final drying cure to prevent curled pages. Next up, we tried using the Thin Stix on canvas boards we found at the local art store. These are canvas stretched over heavy cardboard, so the texture is the same as regular canvas, but without the thickness of a frame-stretched canvas. After all, we were stretching these kids' art supplies and seeing how well they worked for older students. 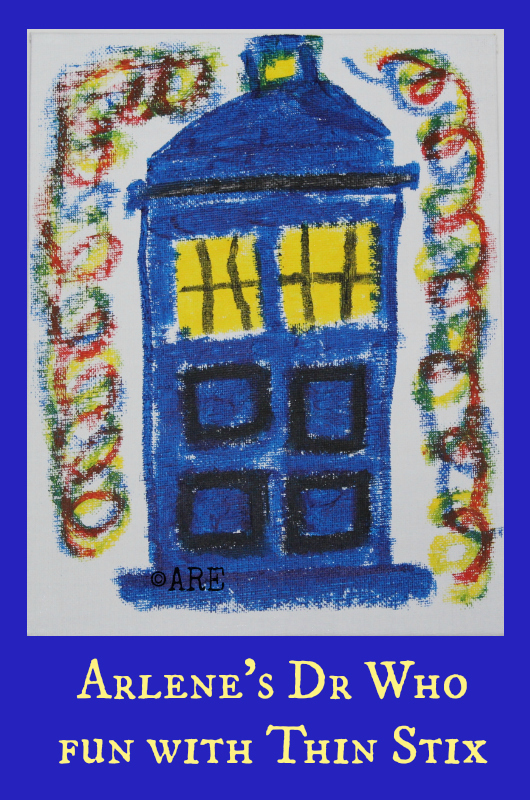 Arlene has been on a Dr Who kick recently, so she used the Thin Stix to draw the T.A.R.D.I.S. on her canvas board. We definitely noticed the difference in how they handled. They were fun, but required much more patience to get the desired effects since the surface was textured. Still good for impressionist work, but probably harder for a small child to use. Below are my pictures, the top one is a rough copy of VanGogh's Wheatfield with Crows done on textured scrapbooking paper. 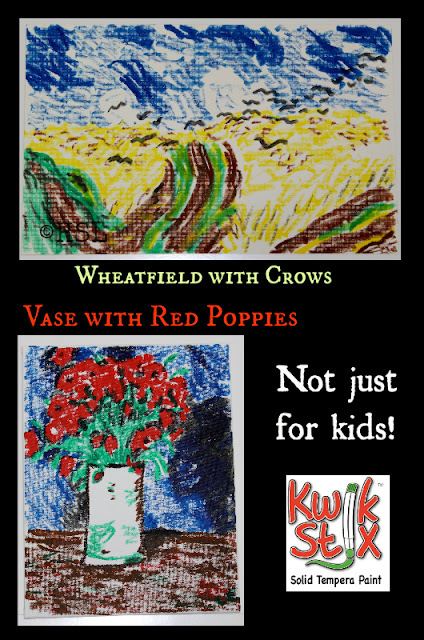 The bottom picture is my copy of his Vase with Red Poppies done on the canvas board. So what did we think of Thin Stix? Arlene would recommend them for little kids, on non-textured paper. She said she would like them better for older students (like herself) if we had the larger set with more colors. Remember, they dry in 90 seconds, so if you want to mix the colors, you have to be quick. Then I heard another Crew member mention they had used theirs on rocks... and I was intrigued. How would these work for summer art projects, like flowerpot rocks or decorating picture frames? So I sent Arlene and her older sister outside to get a couple decent sized rocks and clean them off. Once dry, Arlene used some inspiration from a recent baseball game to paint hers, and Emily said hers already had a light spot, so she used it for the cloud in her landscape picture. I'm pretty sure the uses for Thin Stix are only limited by your imagination. If you have small children, you probably want the original Kwik Stix since they are shorter and faster. 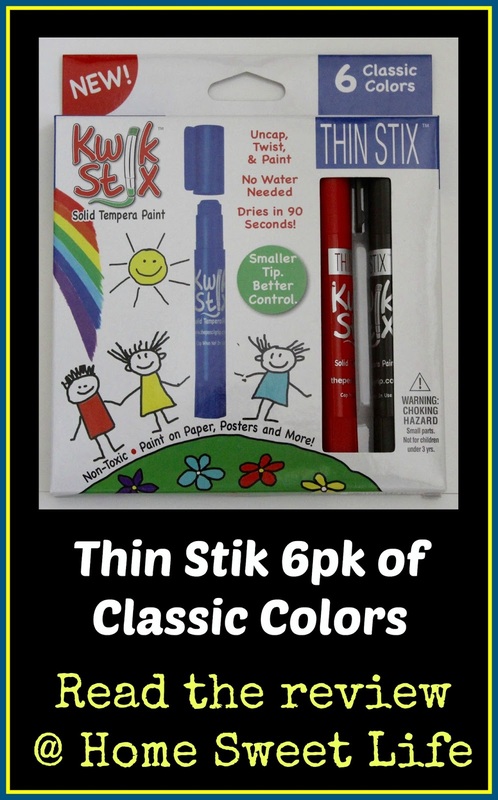 For upper elementary ages and above, try these Thin Stix for your Spring and Summer art projects. We have not had them long enough yet to tell how well the paint will stand up to the weather, once their rocks go back outside, but they're definitely fun to use. Original Kwik Stix, and these newer Thin Stix are available on Amazon, on The Pencil Grip's website, and at other stores like Toys R Us. There are a variety of size and color options. The original Kwik Stix are about the length of a regular clue stick, but thicker at 3/4". These Thin Stix are almost 5 &1/2 inches long, but only about 1/2" thick like a glue stick. 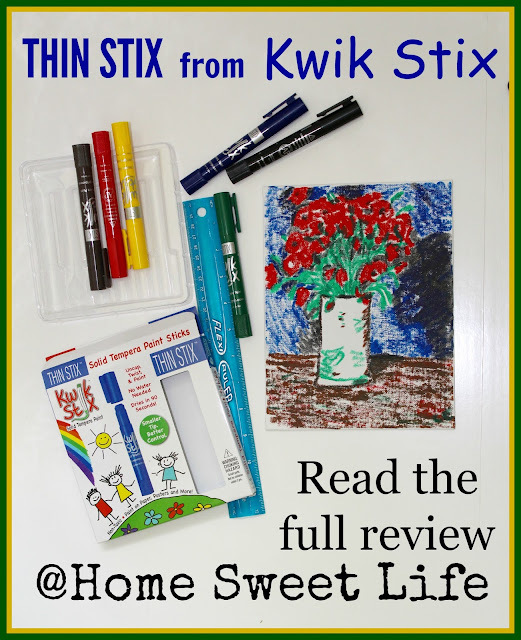 If you're going to be in charge of crafts for VBS, summer camp, or just to entertain your own children this summer, get yourself some great mess free fun with Kwik Stix! To learn how all the other Crew families used the Thin Stix, click the banner below! Today we have great news! It is time for the giveaway we mentioned last week. This giveaway is for US residents 18 and older. 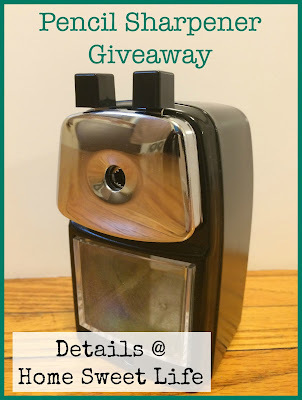 The winner will receive one pencil sharpener from Classroom Friendly Supplies. I am so excited for this giveaway. We really like our pencil sharpener and are so pleased the people at Classroom Friendly Supplies have agreed to offer a pencil sharpener to one of our loyal readers. If you are the winner, they will even let you choose your favorite color! After you have read our review, come back here and click the Giveaway Tools widget below to enter the giveaway. The giveaway will close at Midnight, EST on Friday, June 2, 2017. Tell your friends about the giveaway, so they can enter as well. 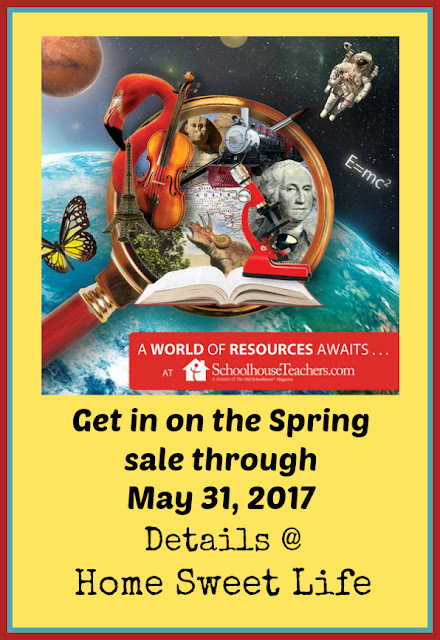 SchoolhouseTeachers.com Spring Savings ~ Don't miss this! *This post contains affiliate links. If you click on them and make a purchase, we will receive a small commission, but you will still receive the lowest price ~ great for both of us! By now you might have heard us mention SchoolhouseTeachers.com a few times. It is a fantastic resource that offers a lot of benefits for the entire family. Until May 31st it is ON SALE!!! I have been meaning to tell you about a recent addition to Schoolhouseteachers.com for a couple of weeks, but life got so busy I just couldn't fit it in. But now, ...now there is time to give you all the great details ~ plus an extra bonus I just found out about last week! So here is the deal. Just about a month ago SchoolhouseTeachers.com added a huge amount of new content when they partnered with World Book. That's right, a World Book encyclopedia you can access directly from SchoolhouseTeachers.com. World Book is the encyclopedia I grew up using in school. Good stuff, not too lengthy, not too short. This is not just one resource, but a whole host of resources for all ages from PreK to High School. There is even a World Book Library in Spanish for ages K-4th grade. People, this is HUGE! Usually you would pay quite a bit for one online World Book library subscription, but with a SchoolhouseTeachers.com membership you get access to ten of them! You can access the information through SchoolhouseTeachers.com by Library, or by Grade and Subject. We have only peeked around so far, but we have found quite a bit of cool information. I am really looking forward to spending more time going through this resource over the summer to see how Arlene might use it effectively this fall for her coursework. Now, if the addition of World Book wasn't enough, there is a SALE going on through the end of May. 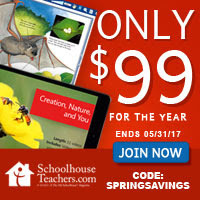 If you use the coupon code SPRINGSAVINGS you can get the Ultimate Annual membership to SchoolhouseTeachers.com for just $99! Why is that such a value? Well, frankly, if you wanted to buy your family online access to the World Book Libraries alone it would be more than $99. Then you need to think about the fact that SchoolhouseTeachers.com has over 300 course available to choose from. Included are a vast array of video resources, from 30 seconds to 30 minutes in length, from Right Now Media. Oh, and don't forget the downloadable planners, or the Applecore record keeping. I used Applecore to complete and print Emily's transcript when she graduated from high school last December, and it was so easy to use! About those videos... you might remember we had a great time watching "The Gospels" from Drive Thru History® earlier this year. The American History series from Drive Thru History is currently available on SchoolhouseTeachers.com. Yup, we're hooked! Ok, now for the latest reason I learned about just last week why I think you should click over and get your family a subscription to SchoolhouseTeachers.com today: The Old Schoolhouse magazine is going to start offering a print edition twice a year, instead of just printing the winter issue, and having the others be digital. That's right folks, the Summer 2017 issue of The Old Schoolhouse will be headed to the printer in early June... and ... if you get a SchoolhouseTeachers.com membership by the end of May, you can go to your Member Dashboard and order a copy of the Summer Print Issue at no additional cost! Sweet! Your Member Dashboard will include all the necessary instructions and coupon codes to claim your print issue. Still need more information before you decide? 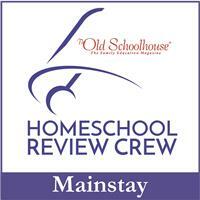 Read some of our past reviews of SchoolhouseTeachers.com here, here, or here.